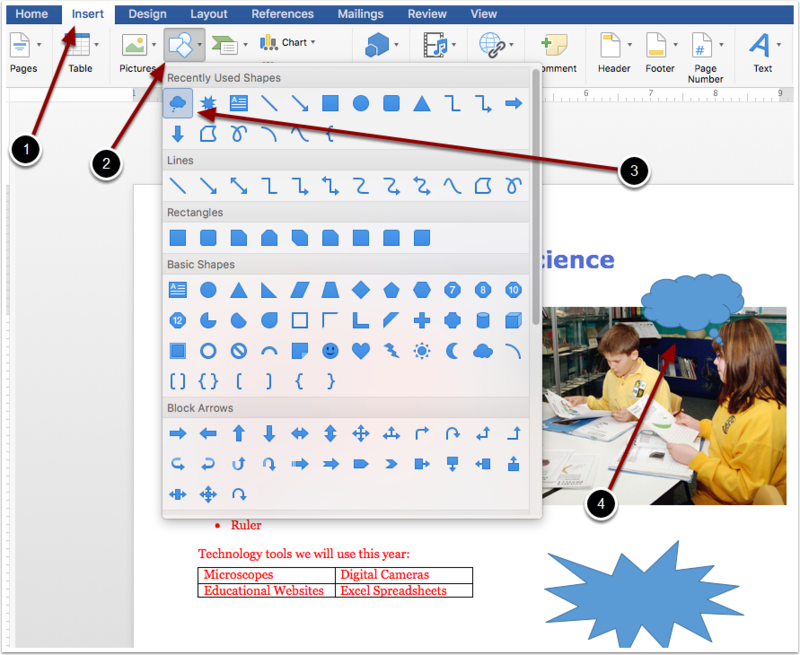 EdTech Help GuidesED206 Word TCAHow Do I Insert And Edit Shapes? 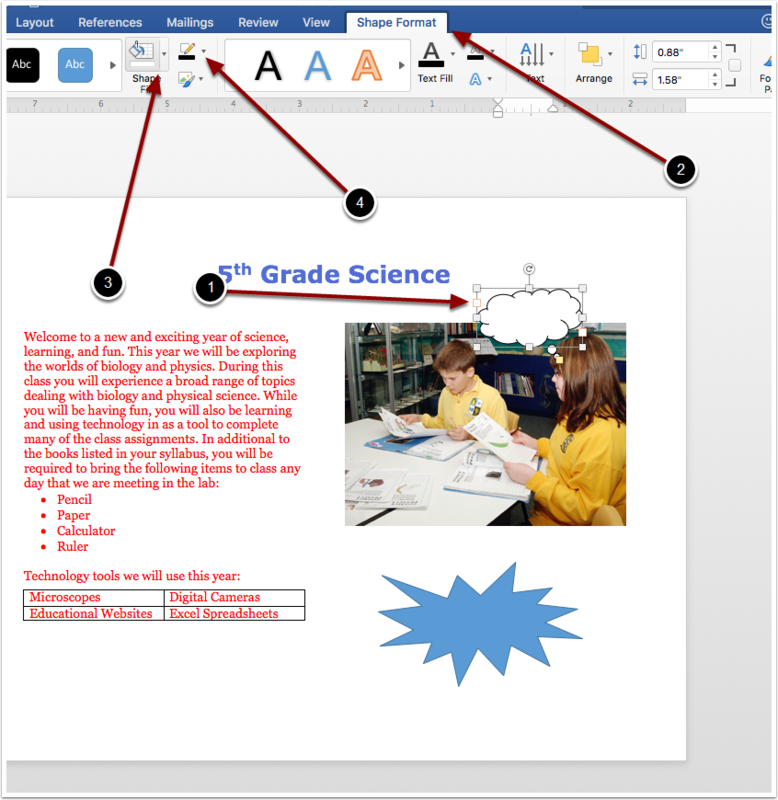 Below are instructions on how to insert, edit, and add text to shapes in a Word Document. If the text doesn't appear when you start typing, check to make sure the color of the text isn't the same as the color of the shape. 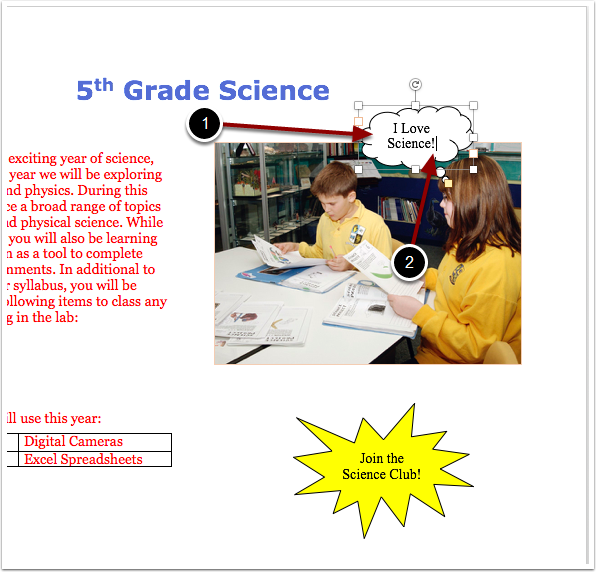 Prev: How Do I Move A Text Box Or A Picture? Next: How Do I Insert A Hyperlink?